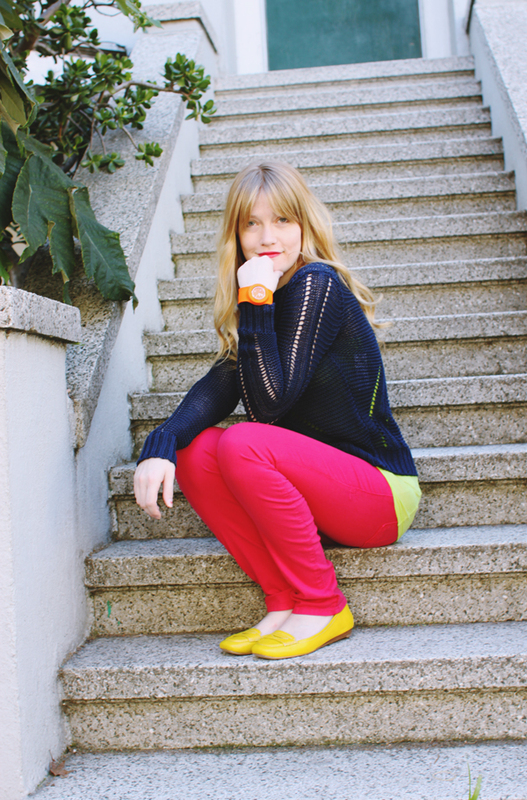 We're still mad for colored jeans, they're just the thing for transitioning into Spring! Pair them with a bright tank top and cozy sweater until the weather decides to turn warm again. 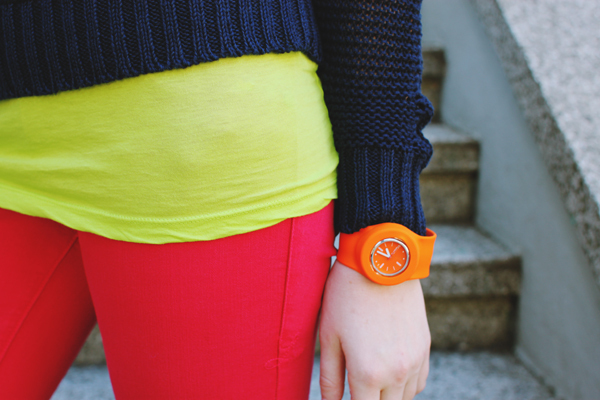 And don't forget a colorful accessory to finish the look, like this amazing Rumba watch that snaps into place (much like those beloved snap bracelets of the 1990's). P.S. This is Betsy, our adorable new shopgirl!